The RDB (Rifle, Downward-ejecting, Bullpup) is an adjustable gas long-stroke piston rifle in 5.56mm. 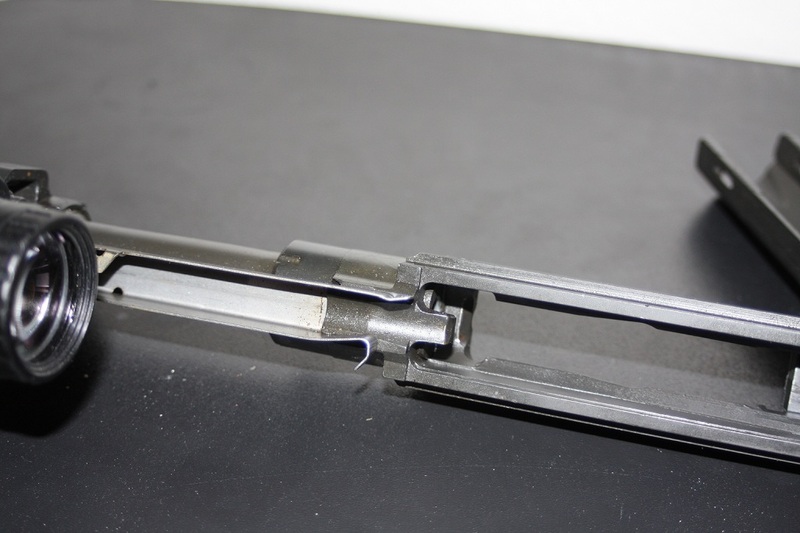 The non reciprocating handle can be changed to either side, the magazine and bolt release are ambidextrous. The rifle feeds from standard STANAG magazines. Other calibers may be released as they were initially planned, such as the 6.5 Grendel and 7.62x39mm. 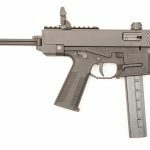 The rifle is supposed to have a relatively low recoil impulse and to me it seemed what I’d expect from a mid-weight 5.56mm carbine, no different in a bullpup shell. Muzzle brakes and suppressors make real difference for such firearms for anyone interested in reducing it further. The sample rifle at the SHOT Show 2015 Industry Day at the Range had a decent muzzle brake on it and the rep was eager to hear the pleasing sounds of gun fire from his booth so I obliged him. 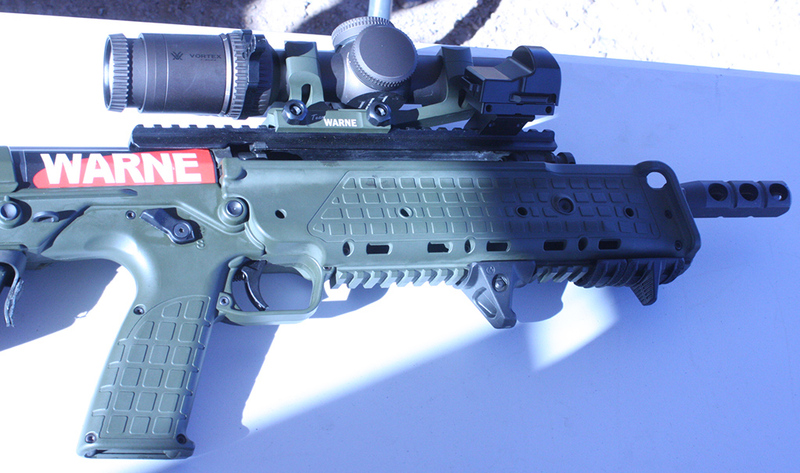 The rifle weighs in at seven lbs with a 17.4″ barrel and a 27.4″ overall length. 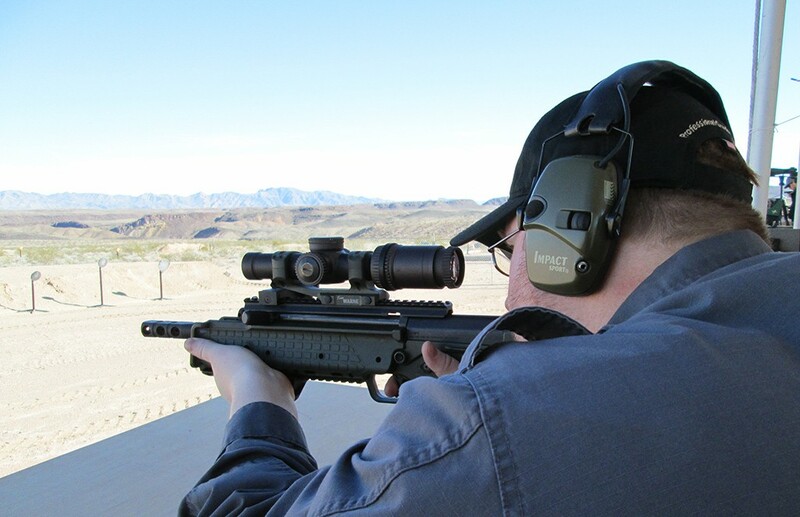 Bullpups generally feel designed to bench shoot so hitting targets was effortless. 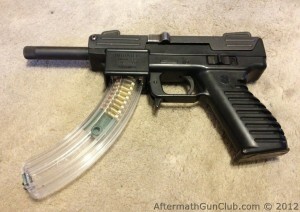 The trigger wasn’t great, like bullpups generally are, but I didn’t find it horrible. I am not a trigger snob when it comes to “black rifles”, this isn’t a 1911 or long range precision rifle. That said, like the other bullpup designs on the market, I’m sure springs and trigger conversions will just be a matter of time for those looking for something better. 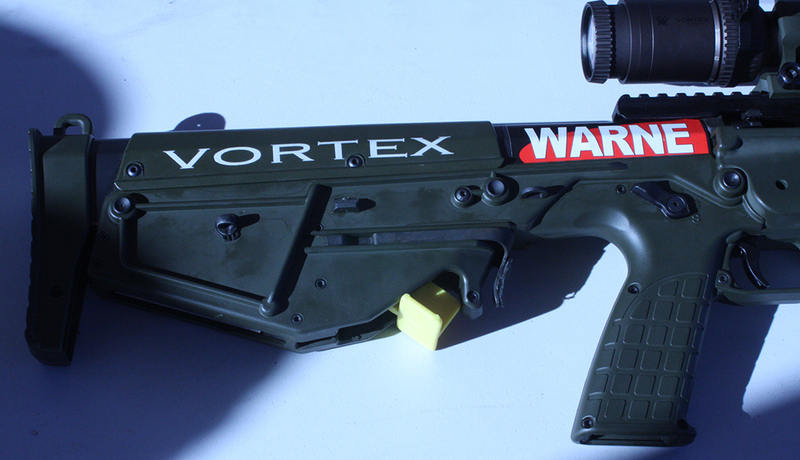 It has been written that it is better than the Tavor trigger, out of the box. I wouldn’t buy the firearm expecting it to have a different trigger than what it is sold with though, RFB owners are still playing around with improving their’s. 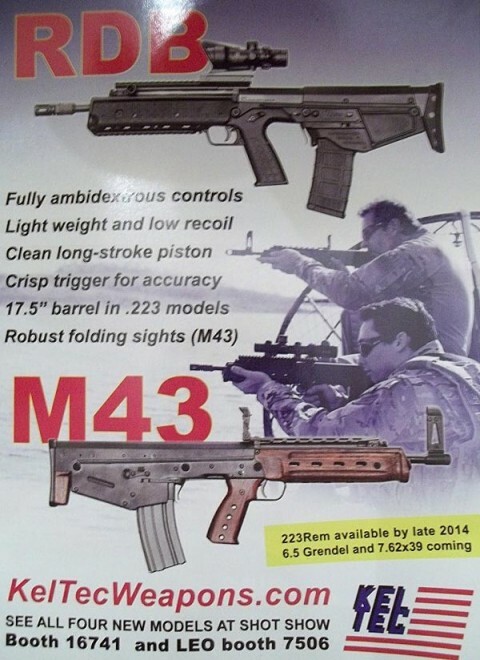 The rifles will be shipping this year but the M43 model has been revealed to be a limited run. I will be releasing more information on that after I am confirmed on the pre-order list. View the 2014 RDB flyer announcing they’d hopefully be available in Q4 of 2014. 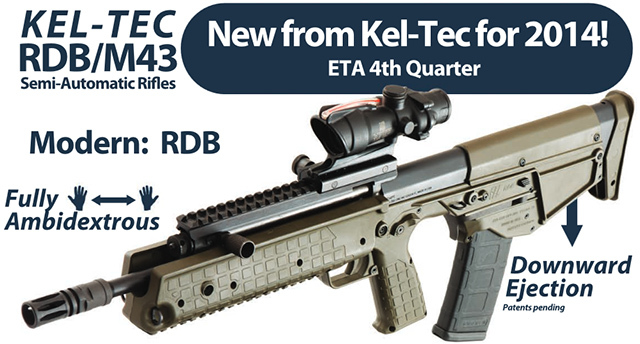 On the nineteenth of September Kel-Tec posted answers to current ..